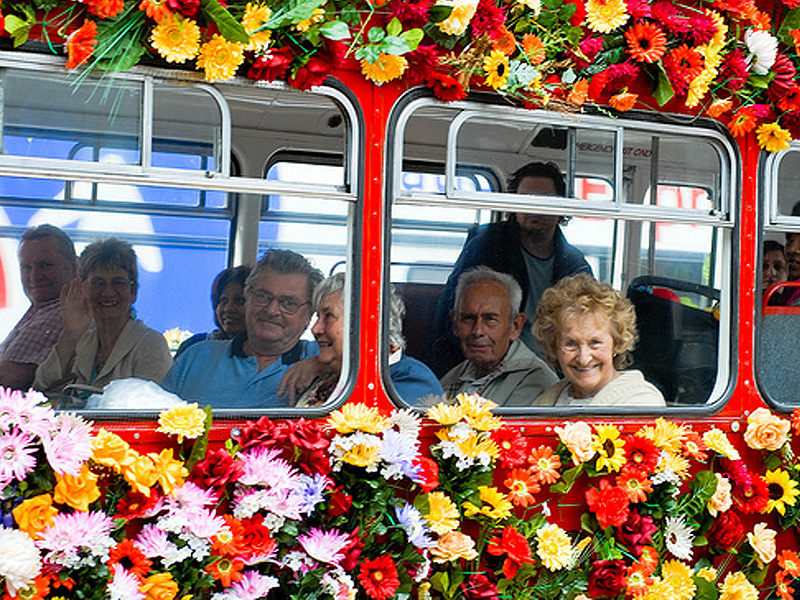 From collector’s classics like the AEC ‘Routemaster’ and Bristol ‘Lodekka’ through to moderns including the MCW ‘Metroliner’, our buses cater for all kinds of clients. Please select from the categories below to browse our full range of vehicles and services… whatever style of promotional vehicle you are looking for, we have a bus to fit the bill! 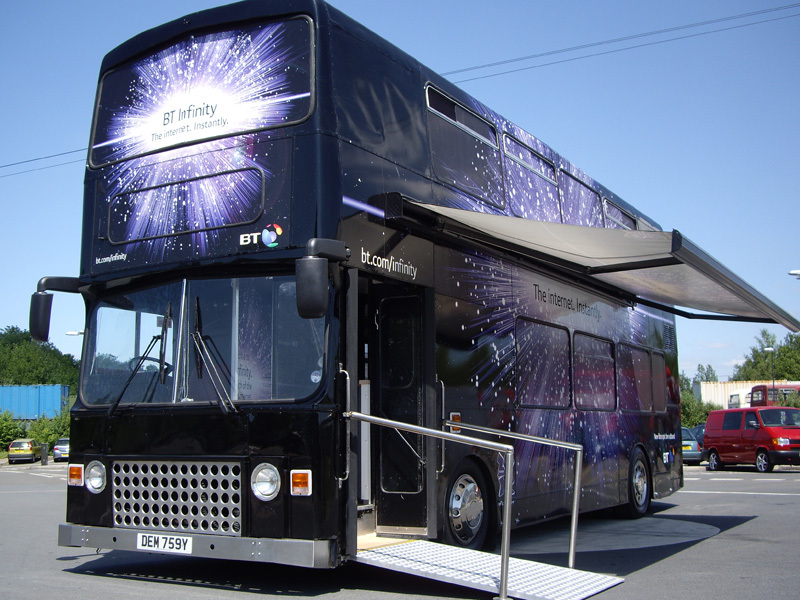 Our exhibition buses can offer generous showroom space, hospitality, kitchen, w.c. and a welcoming exterior awning. For pushing products in a uniquely funky and retro way, they’re an absolute winner. 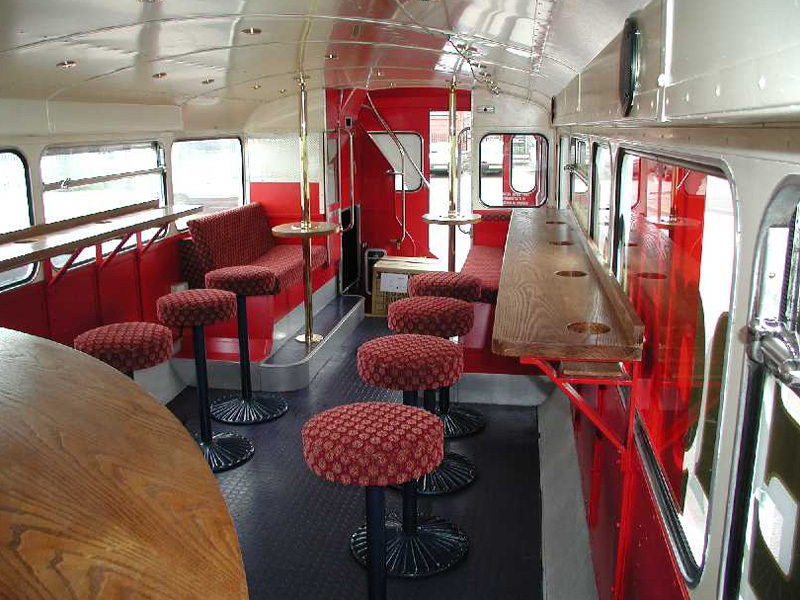 One of the most popular applications for our London double-deckers has been a conversion to mobile café, bar or restaurant. At the simplest level, a converted bus can act as a snack bar, with operators serving to the outside through opening side windows, and perhaps enjoying the comforts of living accommodation upstairs. 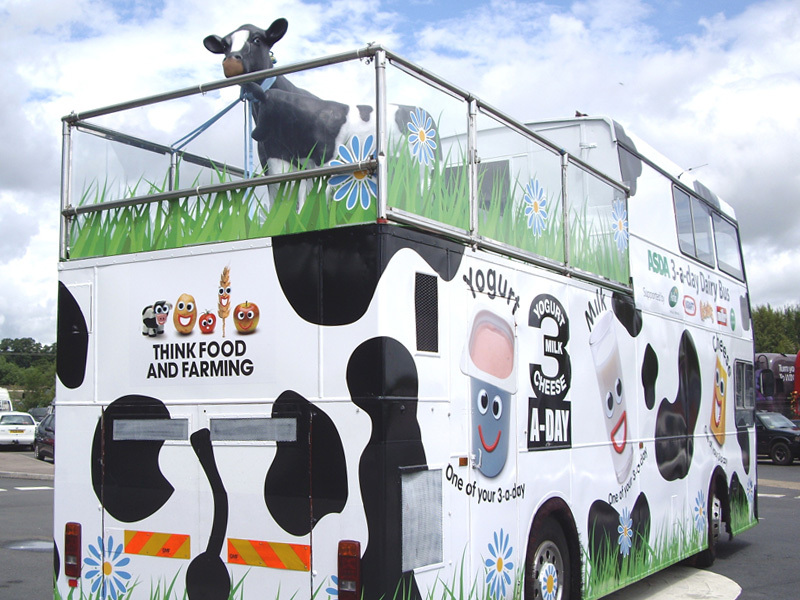 There are time when teaching can gain from an element of showbiz: a mobile classroom can introduce a flavour of the exciting and unconventional – even a stage set on wheels! A Unique Range of Classic People-Movers… Exclusively Branded for You! We can offer for hire open-top and closed-top classic and modern buses for everything from weddings to corporate events.